There are many types of loans available for purchasing a home, but the VA loan is only for qualified US Military veterans. A down payment is not required for a VA loan, private mortgage insurance is also not required. These two factors alone can save veterans thousands of dollars a year in extra fees. Another cost saving benefit of a VA loan is low interest rates because the loan is partially guaranteed by the federal government. Find out if you are eligible for a VA loan by meeting a few requirements. A veteran is determined by four categories: A person that has served active duty at least 90 days during war time. A person that has served active duty for at least 181 days during a time of peace. A person that has served at least 6 years in the national guard or reserves. A person that is the surviving spouse of a veteran who died in the line of duty or due to injuries or disabilities related to their service. If you fall into one of the previous categories, you can call your local VA mortgage lender and get a Certificate of Eligibility or COE. Once meeting the service requirements, the only other requirement is ability to pay. If you are a full time employed veteran, your lender will ask for documents like pay stubs from the past two months, the past two years tax returns and the past two years W-2 forms. If you are self employed, they will want your past two years tax returns for your business/personal. After you find the home you like and place a contract to purchase that home, your mortgage lender will order an appraisal by a VA approved appraiser. All real estate sales have closing costs regardless of what type of mortgage is chosen. These costs can include appraisal fees, home owners insurance, title insurance, credit report fee, title recording fee or an electronic registration system fee. Your realtor can negotiate with the seller to pay for all or part of the closing costs, also up to 6% of the home’s purchase price can be used to cover the costs. 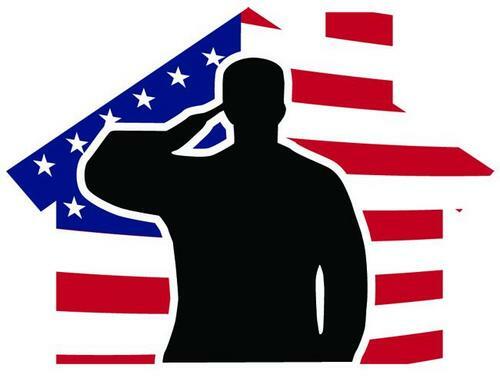 To continue providing the VA loan services for future veterans, the loan guidelines require a fee, the VA Funding Fee. The fee is 2.15% for first time home buyers and 3.3% if the benefit is used again. The fee is not required up front and can be added to the loan amount and paid over time. Two types of veteran are excluded from the fee. Surviving spouses and disabled veterans. You can also use a VA loan to refinance your home. You can do both a streamline refinance(Interest rate reduction loan) or a cash-out refinance. The VA Loan is an excellent way for qualified veterans to purchase or refinance a home.